Moving can be stress-free and easy if you get the right movers to do it for you. At Optimum Moving, we provide premier moving solutions in New Jersey and the Tri-State area. Whether you are planning to move in or out of Bridgeton, you can be sure that your relocation experience will be a breeze. We have the capability to handle both small and big moves; your possessions will make it to your desired location in a safe and secure manner. Bridgeton is a city located in Cumberland County. The city is home to a number of large municipal parks. Its largest park consists of lakes, wetlands and pinelands. Bridgeton is divided into three sections: Hillside, Southside and Northside. Bridgeton is a popular city to live in because of its close proximity to cities such as Wilmington, Atlantic City and Philadelphia. In Bridgeton, house or condo owners have a preference of living in the same house for an average of five years and that is approximately 54% of the population of Bridgeton residents. The average house in Bridgeton costs $106,149, and many residents here choose houses that feature two to three bedrooms each. The city has a population of 25,252, and house and condo owners choose to live in the same property for at least 15 years. Renters live in their rental properties for an average of four years. At Optimum Moving, we are one of the modern moving companies in New Jersey that practice a systematic approach when it comes to moving. Everything is executed with meticulous planning and we leave no aspects of a relocation project untouched. We want to ensure that your move happens smoothly, affordably and on time. What’s more, our professional staff members keep up with the latest moving innovations and are experts in packing. Not only will your belongings stay intact throughout the move, they will be easy to unpack at your new location; saving lots of time. High quality rubber bands are employed to ensure bulky possessions do not open unexpectedly during transport. Experience the Optimum Moving difference today and get ready to be amazed! 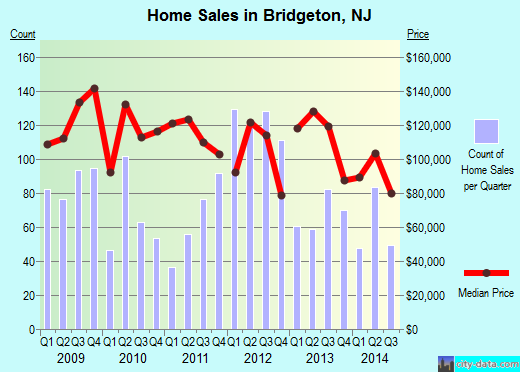 Want to learn more about a Bridgeton Move?